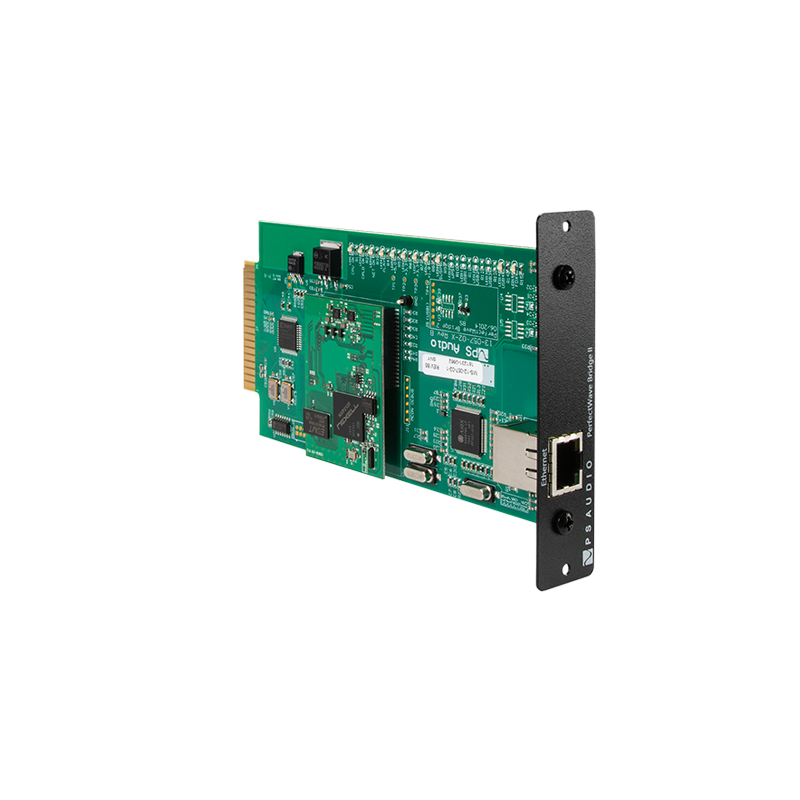 The PerfectWave Network Bridge II brings network connectivity to your DirectStream or PerfectWave DAC. Based on UPnP formats, Bridge II can be controlled with any UPnP controller and is able to connect over your home’s Local Area Network via Ethernet (Cat 5). Connect a NAS, computer, JRiver, whatever you have to your PWD or DirectStream. And Now, full MQA, Tidal (including Masters), Spotify, Qobuz, VTuner, and Roon ready. We want to know the brand name and model of what you'd like to trade in. For example, an Adcom GFA-555. It isn't necessary that we know the exact vintage or upgrade status, just as close as you can manage so we know what unit to expect. If you have questions, feel free to call us. The original Manufacturer's Suggested retail Price. This is not the price you paid, it is the original asking price from the manufacturer. If you don't remember, it is often possible to simply Google the product and track down the MSRP. Often, this information is readily available. Give it your best and we can sort out the details for you. Trade-In Buy Back PolicyPS Audio will buy back your used equipment and apply the specified amount toward the purchase of a new PS Audio product. Our program is based on the honor system, but we do check. Please fill out this form to the best of your knowledge and your card will be charged the lower amount. You have up to 30 days to send us your trade. The new PS Audio Bridge II makes high-end fun again and connects DirectStream or PerfectWave DACs over the home network. This is the best sounding music input on a PS Audio DAC, better than even USB. Bridge II offers gapless play, stable performance, lower jitter and the freedom to enjoy digital audio collections, either PCM or DSD, with high performance at the touch of a finger. The Network Bridge II and DirectStream or PerfectWave DAC combo will allow you to build a musical library your friends and family can enjoy for years to come. With the Network Bridge II installed, you can focus on what you really want: music and the joy of a high-end audio system. And now, Bridge II is full MQA, Tidal (including Masters), Spotify, VTuner, Qobuz, and Roon ready. …in the end, ethernet sound quality won me over — whether it be via a 3 feet long cable or 50 feet. And although the Bridge II’s price of $899 might seem steep to some, don’t forget that it is essentially doing, among other things, much of the magic and work that a very high-end music server (costing thousands of dollars) does — and it only weighs a couple of ounces. Quite something–squared. Highly recommended. By Karl Sigman, July 18 UPDATE! We are proud to award the PS Audio PerfectWave Network Bridge an Audiophilia Star Component Award. Congratulations! Since I awarded the PS Audio MKII DAC an Audiophilia Star, I feel it is imperative to award one to the Bridge, too. The MKII allowed me to rid my system of a $4,000 preamplifier and get better sound. The bridge allows me to rid my system of $400+ USB cables and replace them with $5 ethernet cables and get better sound. Now, that's progress. "I found the Bridge to provide the best sound, - The inputs are all asynchronous, with the network input accepting up to 192 kHz/32-bit data and the USB accepting up to 192 kHz/24-bit signals. This should allow users to play just about any high-resolution audio file. Most types of audio file will work, including FLAC, WAV, AIFF, ALAC and many more." "The PWD sounds more engaging, more wholesome when fed ones and zeroes via the Network Bridge (and presumably PWT) than it does as standalone DAC"
The PerfectWave Network Bridge slides easily into the rear of a PerfectWave or DirectStream DAC and is ready to stream over your network almost immediately. Cover art, song titles, great sound all from this unique network device.